The wave of Fancy Color Diamonds is really starting to make a big impression. The various color combinations can sometimes be mesmerizing. Only, many seem to think that most fancy colors are way too high above their budget. Granted, the rarer the stone the more expensive it will be. However, that doesn’t mean that some of the more common fancy colors are out of everyones reach. 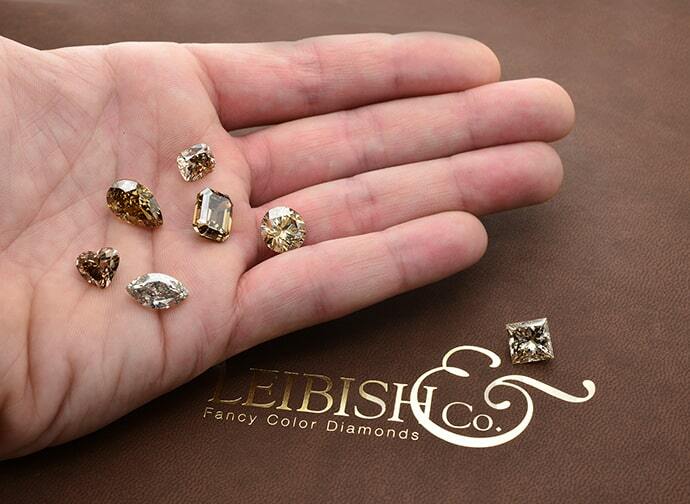 Natural Fancy Brown diamonds are quickly attracting popularity among the Fancy Colored Diamond family. These diamonds come in many different varieties of color combinations and actually adopted different names that help describe their shades and tone. 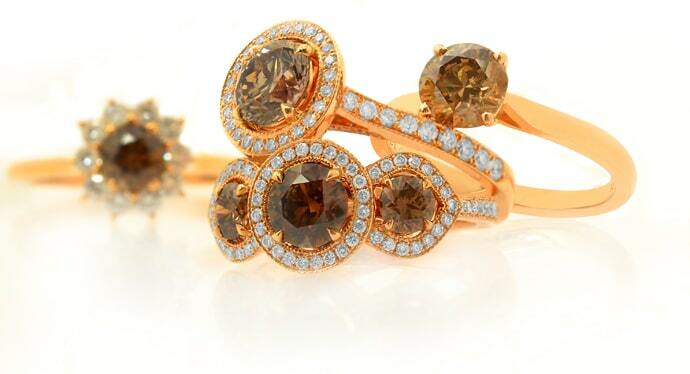 Even though these stones are quite beautiful, Brown Diamonds were not at the top of the popularity charts. The Argyle mine, where many of these treasures are found, began a brilliant marketing campaign of changing the name to something far more attractive, Champagne Diamonds. The name has managed to attract a significant amount of attention, which these stones truly do deserve. 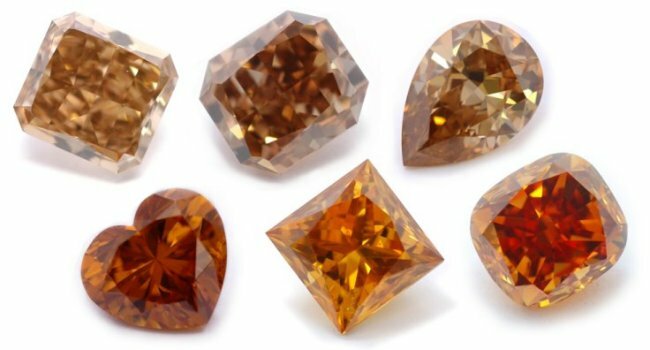 The lighter brown shade is sometimes referred to as Cognac Diamonds or even Chocolate Diamonds in order to further work the association for its rich and golden appearance. The idea is applying a name that better explains the color tone. As a desirable beverage that any man or woman can easily relate to, the term “Champagne diamonds” immediately began to attract attention and increased the desire for these stones. Similar to all natural fancy colored stones, the champagne diamond color is caused by the absorption of light through the structural defects in the crystal lattice. Different locations around the world are known for producing specific colors. The Argyle mine in the Eastern Kimberly region of Western Australia, famous for their Pink Diamond production, is one of the many areas where some of the nicest Champagne colored diamonds are found. These stones can be found with one pure color, or with one, two, or even three secondary hues. The possible hues include Yellow, Yellowish, Pink, Pinkish, Orange, Orangy, Greenish, Greenish Yellow, Purple, and Reddish. Champagne diamonds can be anyone of several intensities including Light, Fancy Light, Fancy, Fancy Deep, and Fancy Dark. Other colored diamonds can come in additional color intensities. Fancy Champagne diamonds can be found in many shapes, such as Princess, Emerald, Asscher, Oval, Marquise, Pear, Radiant, Heart, and Cushion. A question that often arises among potential colored diamond buyers is, are champagne diamonds more expensive than colorless diamonds or other colored stones? 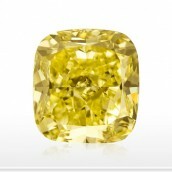 As a result to both how common these stones are and what the market value demanded, the prices of these diamonds are significantly lower than some of the more popular fancy colors. 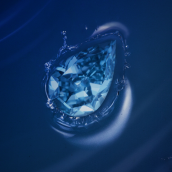 They are shown to be a bargain for today's diamond collectors. They can cost less than a colorless diamond of the same size and shape, however similar to other colored stones the price can vary according to the intensity, and of course the size of the stone. As a general rule, if you want a gorgeous colored diamond, but aren’t interested in shelling out a large amount, champagne diamonds are an excellent direction! They are priced extremely competitively compared to colorless and other fancy colored diamonds. Furthermore, they make exquisite pieces of jewelry because of the color contrasts between them and colorless stones. Fancy Champagne colored diamonds that contain no overtone colors at all, are notorious for their rarity and sold at various public auctions. One of the most famous champagne diamonds is the Golden Pelican. It is a 69.93-carat, Fancy Champagne colored, Rectangular Emerald-cut diamond originally mined in South Africa. The ring was in a 14kt Gold band, owned by Baron Corso de Palenzuela von Habsburg. It is said to have been used as collateral in a bank transaction securing the freedom of Jews that fled persecution in Cuba. The stone was later auctioned at Christie's in the 1970s. Its estimated value is approximately an astonishing 3 million dollars. Another very famous Champagne colored diamond is the Golden Jubilee. The diamond weighs 545.67-carats and is known as the largest faceted diamond in the world. The rough it was cut from was 755-carats and was discovered in the Premier mine in South Africa in 1985. As a gift for the 50th anniversary of his coronation, the Golden Jubilee was presented to the King of Thailand in 1997. Prior to this event, the stone was simply known as the “Unnamed Brown.” It’s estimated value lies somewhere between $5-12 million dollars. The beauty of these stones together with the very attractive prices in the market has begun to really make an effect. 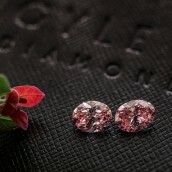 Why not indulge yourself and browse through our wide selection of Fancy Color Champagne Diamonds!